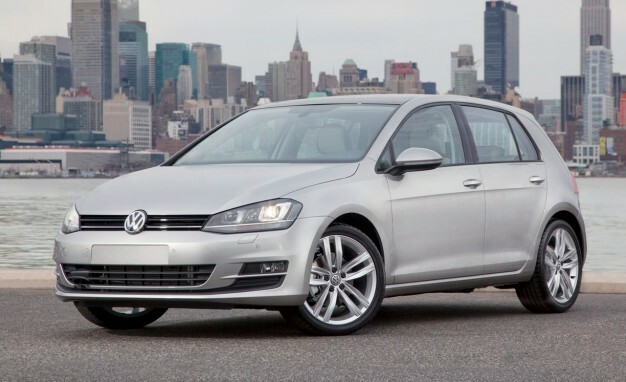 Earlier today, Motor Trend announced that the Volkswagen Golf was its official selection for their 2015 Car of the Year Award. The award was given for all four versions of the new Golf, which have each somehow managed to be lighter and more fuel efficient than previous years while adding extra space. Design Advancement – well-executed exterior and interior styling; innovative vehicle packaging; good selection and use of materials. Engineering Excellence – total vehicle concept and execution; clever solutions to packaging, manufacturing and dynamics issues; cost-effective tech that benefits the consumer. Efficiency – low fuel consumption and carbon footprint, relative to the vehicle’s competitive set. Safety – a vehicle’s ability to help the driver avoid a crash, as well as the secondary safety measures that protect its occupants from harm during a crash. In the end, there was only one legitimate choice to take home the prize: the Volkswagen Golf. Their victory marked only the second time in four decades that the German automaker has won the award from Motor Trend, the previous time coming in 1985 for the GTI. This entry was posted in Culture, Volkswagen and tagged 2015, car of the year, golf, motor trend, Volkswagen. Bookmark the permalink.